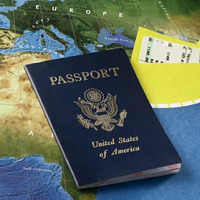 We have a fair idea of how time consuming this complicated and detailed task of procuring a passport and visa is. We make sure that you do not have to go through this trouble. Based in Kolkata, West Bengal, We at Jagannath Tour & Travels have a team of dedicated professionals who are well versed with the passport and visa procuring procedures. Our experts can source forms and assist you in filling them, help in the visa procuring procedures and do all the necessary follow-ups. Contact us to know more about our services for urgent requirements also.